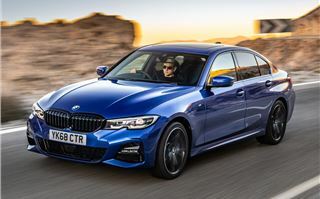 The new BMW 3 Series is bigger than before and offers more standard equipment to take on rivals including the Mercedes-Benz C-Class and Audi A4. With a range of petrol and diesel engines as well as a plug-in hybrid on its way, it continues to appeal to drivers looking for something that's fun to drive - while navigation and LED headlights standard across the range adds to its desirability. 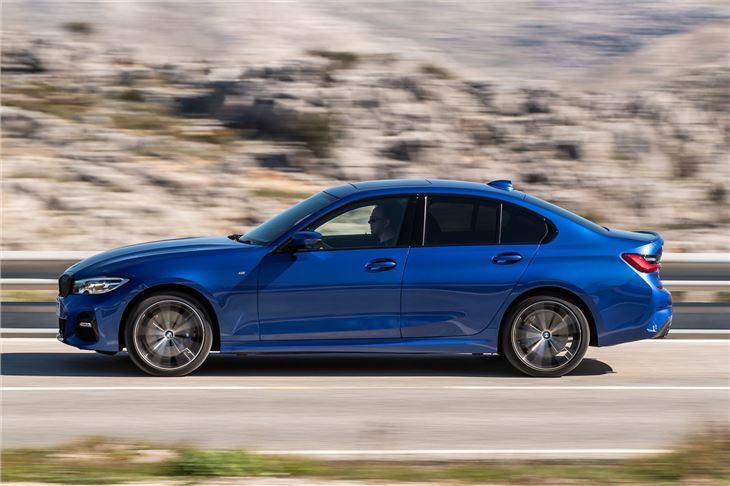 The 320d is the mainstay of the 3 Series range thanks to its combination of performance and economy. 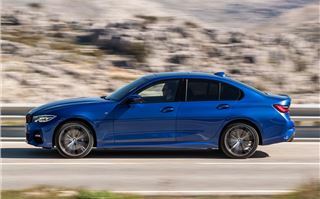 In standard guise, the 320d sends all of its power to the rear wheels, but for those wanting the security of all-wheel-drive, there's an xDrive model, which we've tested here. xDrive ordinarily splits power 60:40 towards the rear wheels. At the slightest hint of a loss of traction, it'll shift almost 100 per cent of torque to whichever axle has the most grip. If you're driving in snow, this can help you maintain progress rather than coming to a halt. It also helps in other conditions, too - it'll provide a more secure drive in the wet, for example. Even with all-wheel-drive, the 3 Series is still enjoyable to drive. The steering is a bit artificially heavy (especially in Sport mode) and not as communicative as the Mercedes-Benz C-Class, but that's picking holes - generally, it strikes the perfect middle ground, being satisfyingly eager without seeming nervous. There are a variety of suspension options available. 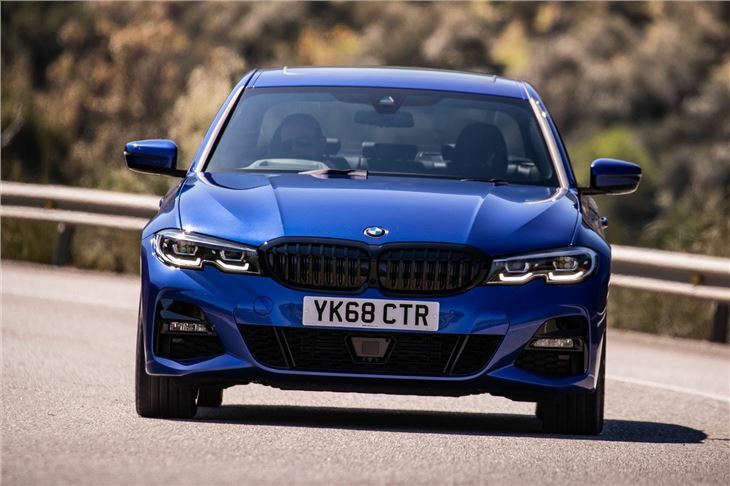 The M Sport model features a lower, firmer suspension than the standard car, but our test car was equipped with the M Sport Plus package with adaptive M suspension. It's hard to draw any real conclusions from our drive on the smooth roads of Spain, but it seems to provide a very compliant ride when left in comfort mode. 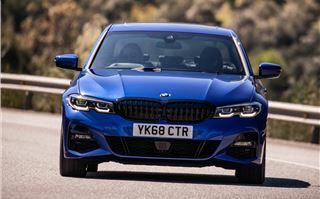 Of course, the average 3 Series will spend a lot of its time on the motorway. And the new 320d is a very refined and relaxed cruiser. Very little road noise makes its way into the cabin - even with 19-inch wheels fitted - and you'll hear even less engine noise. Accelerate hard and there's no mistaking the 2.0-litre diesel for a petrol engine, but it's ordinarily very quiet. 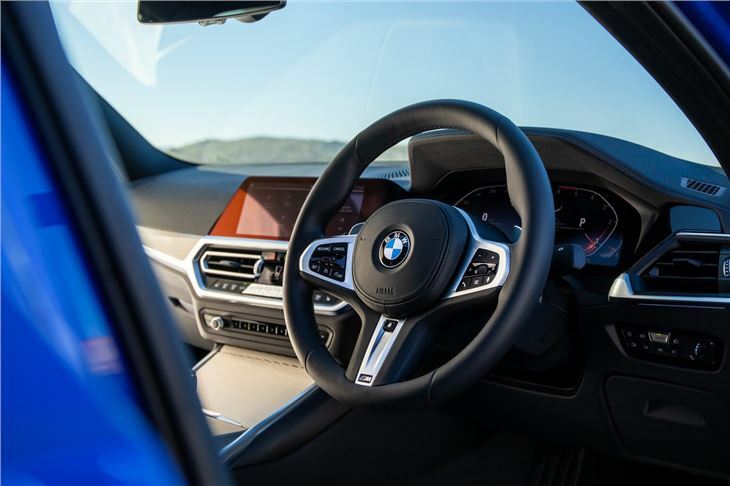 We find that current BMW interiors often fall short compared to rivals from Mercedes-Benz and Audi and that's true for the 3 Series. It's unmistakably premium but there's an almost overwhelming array of buttons that could easily have been integrated into the infotainment system. Of course, many drivers do prefer to have easy-to-find buttons for functions like the climate control. There's also a few brittle-feeling plastics here and there, but none that really detract from the feeling of quality in the 3 Series. 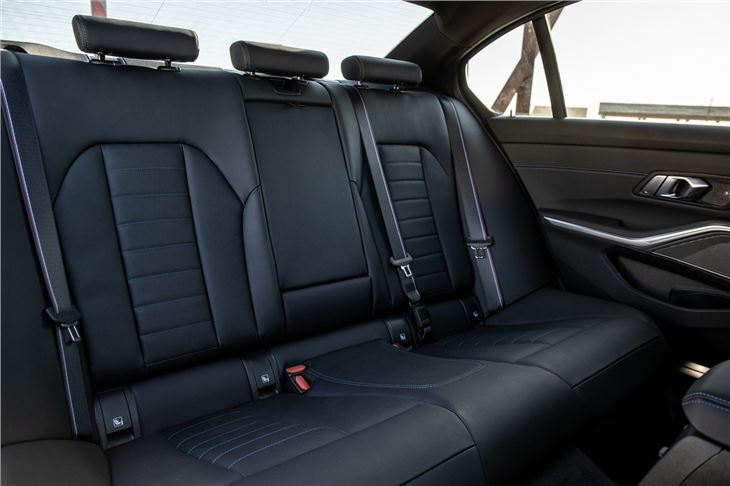 It's easy to get a comfortable driving position, and there's more space in the rear than the outgoing model. 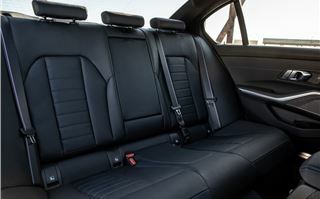 The transmission tunnel running along the length of the car does hinder space for a middle-seat rear passenger, but there's enough space in the rear for three child seats seats - two of which can be locked into place using ISOFIX mounts. 480 litres of luggage space is on a par with the Audi A4 and bigger than a Mercedes-Benz C-Class or Jaguar XE. 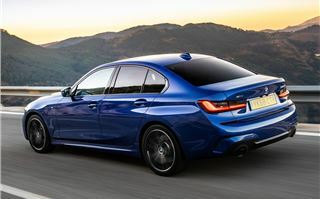 In terms of running costs, xDrive hampers the 320d's fuel consumption slightly, returning between 49.6 and 52.3mpg under the WLTP test cycle. That's still very good for a car as capable of this, however, and Real MPG data of the same engine in the old 3 Series suggests you'll see pretty close to that. With CO2 emissions of 118g/km, it comes in the 27 per cent BIK band for company car drivers for 2019/20. The comprehensive options list has been cut down and offered as a variety of packages. We've mentioned that our car was fitted with the M Sport Plus package with its 19-inch alloy wheels, adaptive M suspension and - for 330i and 330d models - an M Sport differential to improve agility. 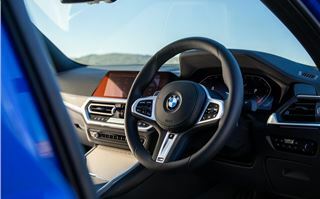 There's also an SE Plus package available, with a more premium upholstery than the standard SE as well as heated seats and a larger fuel tank, while the Technology package adds a head-up display, wireless phone charging and BMW's clever gesture control. New for the 3 Series is BMW's Intelligent Personal Assistant. This is similar to Mercedes-Benz's MBUX system, able to respond to voice commands by saying 'Hey BMW'. During our brief test drive it appeared to struggle with basic commands, although it does become more intelligent over time, learning your habits and routine. For example, 'take me home' will set the navigation to your home address, while saying 'I'm cold' will turn the heating up. 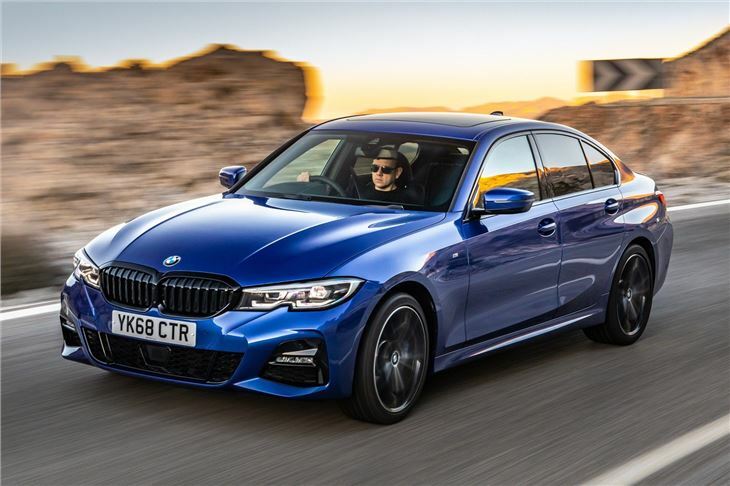 With more technology, a refined drive and low running costs, we're sure the BMW 3 Series will continue to be desirable to company car drivers and families resisting the SUV trend. There's little to criticise - it looks the part, in our opinion, and the interior is a very cosseting place for long journeys. 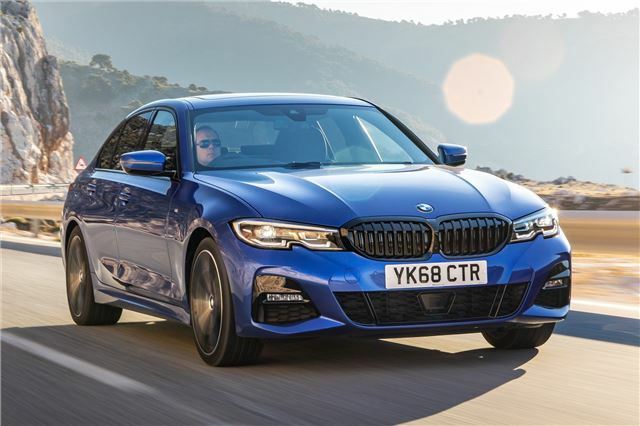 The BMW 3 Series is on sale from March 2019 with deliveries expected later in the year. Prices start at £33,610.